So after confessing to my negligence in reporting on the disposition of my CSA shares, I promptly went silent for another month. 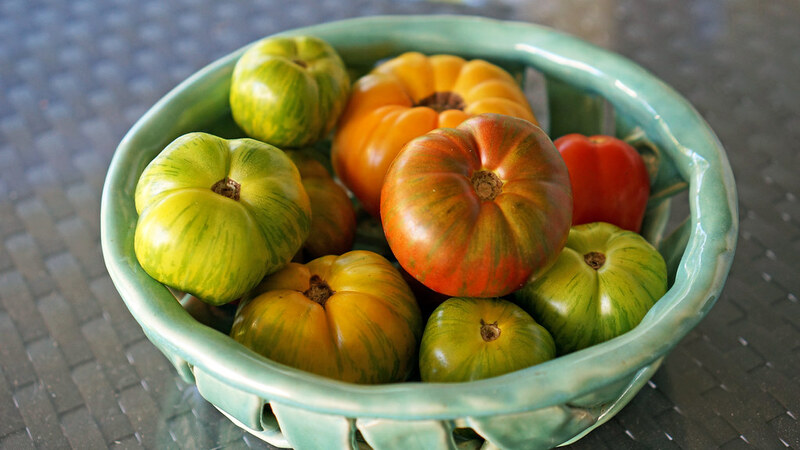 But sometimes, what else is there to say other than "Look at those tomatoes!" Well, maybe there's a little bit more to say. Even a recipe of sorts. One of the dilemmas I've faced in effectively using our CSA share is that sometimes we get a plethora of some items, and for others there's not enough to go around. For weeks we'd been bullish on cutting celery, whereas one head of fennel won't go very far. How to address this imbalance? Make soup. I took a fat bunch of cutting celery (which is more leaf than stalk, but has a stronger, more focused flavor than the customary type), a head of fennel, a handful of spring onions, and roughly chopped and sautéed them in some butter. To add some body I also threw in some jicama that had been hanging around since Week 11. My thinking is that I wanted something in the family of a vichysoisse, but that wouldn't taste or feel too heavy. After the vegetables had softened some, I added a generous dash of celery seeds, and about 8 cups of water to simmer for about 45 minutes. Then I puréed it in a blender in batches, cooled it in the fridge, salted to taste, and added some plain Greek yogurt to give it a bit of richness and tang. 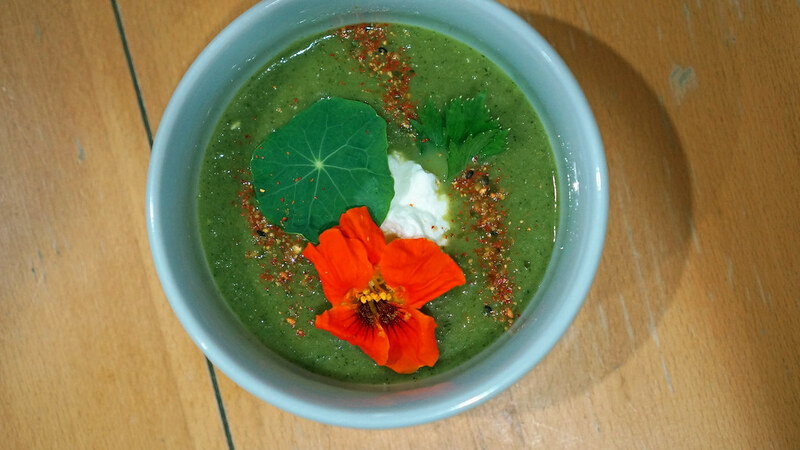 Served it cold with an extra dollop of yogurt, garnished with a nasturtium leaf and petal (also from the CSA), and - this really did the trick - a generous sprinkle of yuzu shichimi, which played well with the floral, peppery nasturtium and brightened all the other flavors. Some people actively hate celery, while most others just don't really see the point. I actually like the stuff. 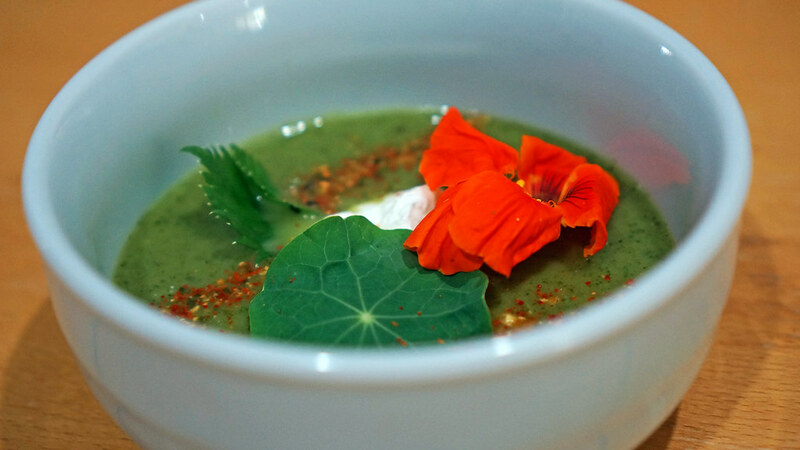 I don't think this soup will make any converts out of the haters or even the agnostics, but if you actually enjoy that pointed beam of clean, green, vegetal celery flavor, you may find some pleasure in this soup. 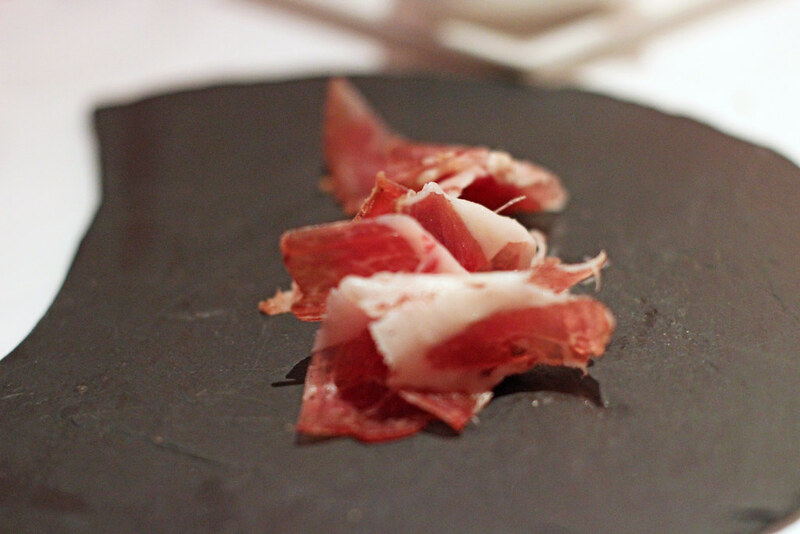 I will save the long-form version of the story for another time, but the short-form version is this: I've been eating Chef David Bracha's food for a long time, going back to the early 1990's when he was cooking at Norman Van Aken's Stars & Stripes Café in the Betsy Hotel on South Beach. 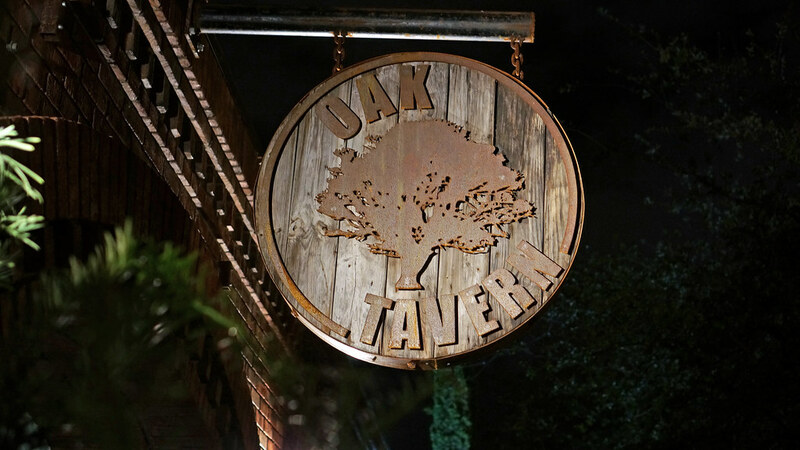 Since then, he's gone on to great success at the perennially packed River Oyster Bar downtown, and recently opened up Oak Tavern in the Design District. So I was excited for the opportunity to get caught up on his cooking at a Cobaya dinner earlier this month for our palindromic Cobaya #31 on 3.11.13. 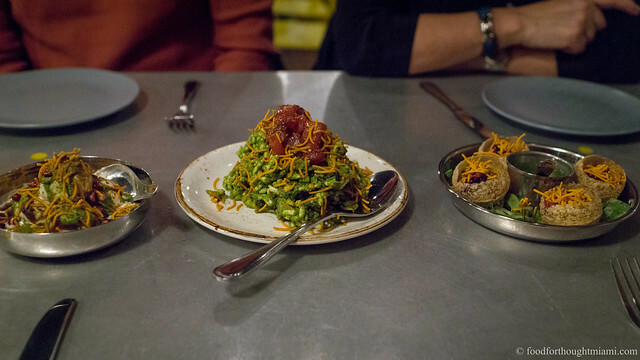 The menu he assembled for us 35 guinea pigs was a more adventurous take on the offerings at his new restaurant - ingredient-driven, with bold flavors and something of an offal-centric tilt. There is no better oyster bar in Miami than the River, and so I was not surprised that's the item with which our dinner started. 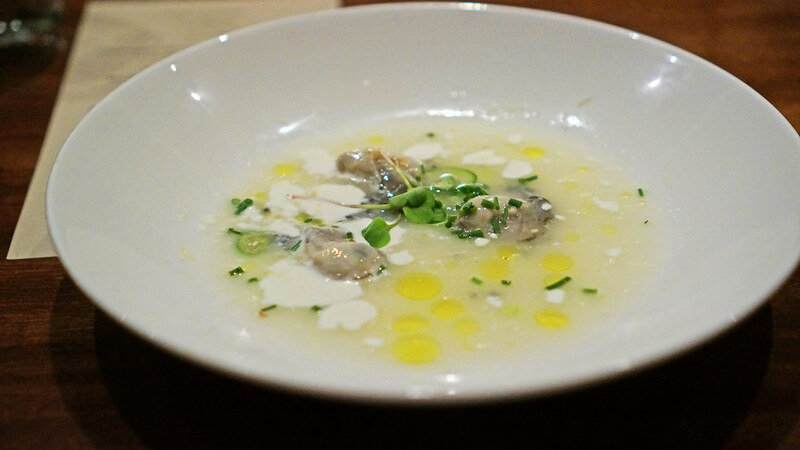 Here, they had been shucked into a ceviche which combined the tart citric bite of lemon juice with a sinus-clearing jolt of horseradish cream, rounded out with soft herbs and a scattering of paddlefish roe. 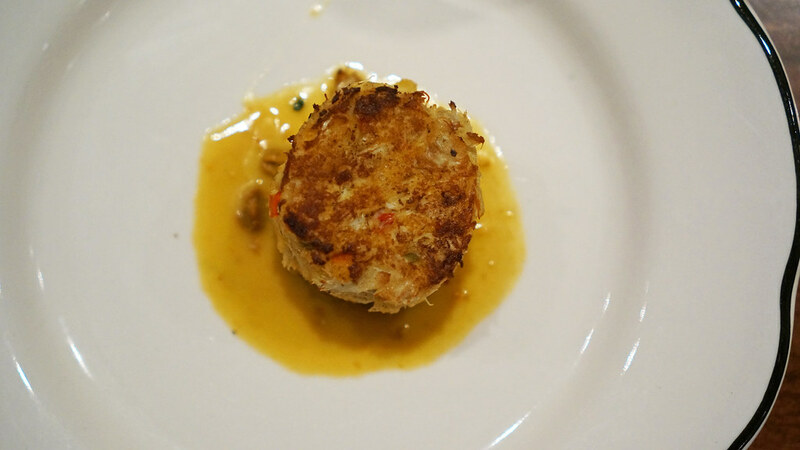 Bracha probably is really tired of crabcakes: he's had them on the menus of his various restaurants for the past twenty years. But I'm not, and I'd never had this particular version of his, no-filler, pan-seared, crisp-edged, nestled in a puddle of uni butter. For at least a couple years, I've been building a proposed itinerary for what I call the Grand Southern Dining Tour. At its most elaborate, it would go up Florida's east coast en route to Charleston, South Carolina, keep going to Raleigh, North Carolina, then possibly head further north to Richmond, Virginia before detouring west to Louisville, Kentucky, then work back the long way to South Florida by way of Nashville, Tennessee, Asheville, North Carolina and Atlanta, Georgia. Of course, that's never going to actually happen. I just don't have the time to devote to such a lengthy dining and driving agenda. But maybe it can be done in bits and pieces. 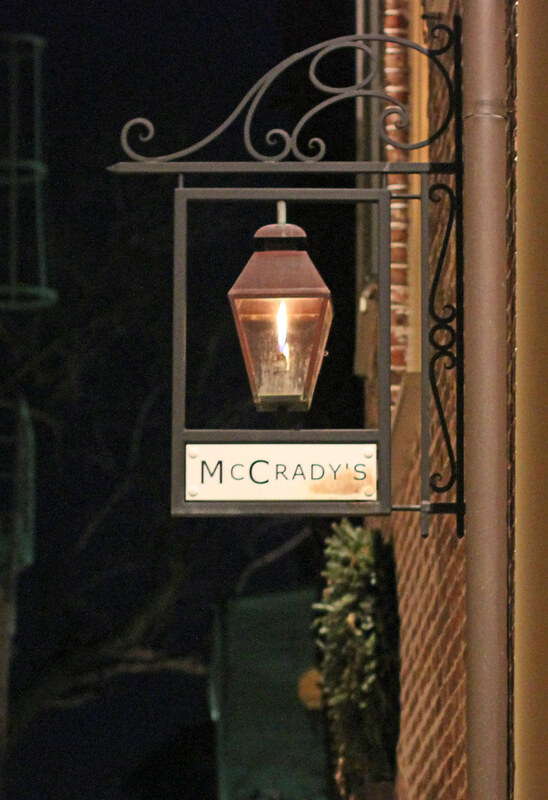 My first step in that direction was a short visit to Charleston before the New Year, and the first reservation I booked was at McCrady's. 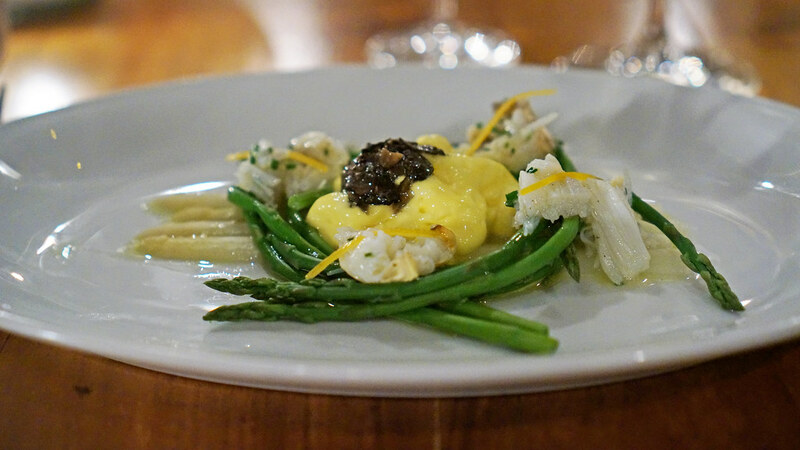 If you've paid any attention to the national food media the past few years, it is extremely unlikely that you've not heard of McCrady's and its master of ceremonies, Sean Brock. More than any other chef, he's been the face and voice of the "New South," what Josh Ozersky, with his knack for coining a phrase, dubbed "Lardcore" cooking, bringing modernist sensibilities and techniques to traditional Southern ingredients. But what makes Brock's cooking so special is not that he understands how to use xanthan gum and liquid nitrogen. 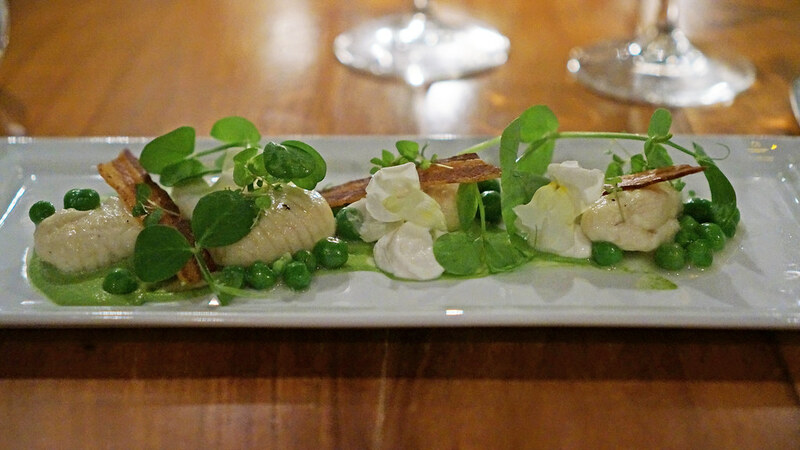 It's that he understands how to do something truly special with food: make it tell a story. At McCrady's, and perhaps even more so at his newer restaurant, Husk, he weaves a tale of the South Carolina low-country and the surrounding areas: the history, the traditions, the products of the land and sea. Part of what makes that story so compelling is how deeply Brock has ingrained himself into its telling: he raises his own pigs and cures his own hams. He farms some of the produce that is used in his restaurants. He's a dedicated seed saver who has personally helped preserve heirloom varietals that are part of the South's culinary heritage. He literally has a cornucopia of local products tattooed on his arm. But it would all just be a history lesson but for the fact that Brock's food is also flat out delicious. 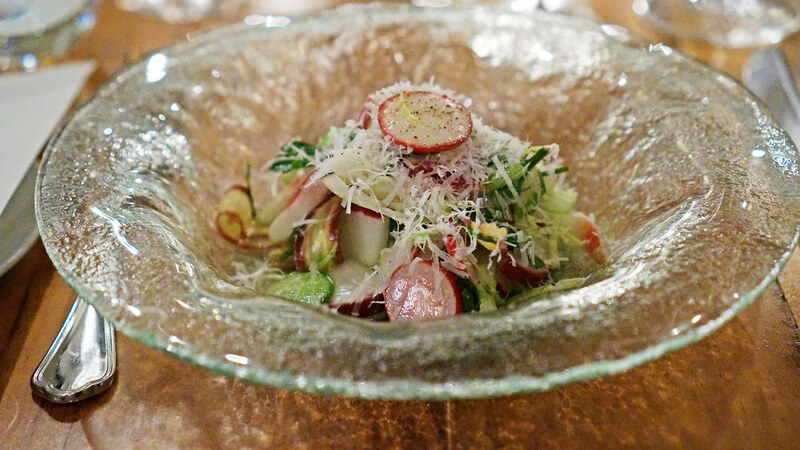 We visited both McCrady's and Husk on our four-day Charleston visit. I was glad we did. Though they both bear Brock's indelible imprint, they are different restaurants: Husk somewhat more strictly faithful to the Southern idiom, McCrady's less constrained to the genre.